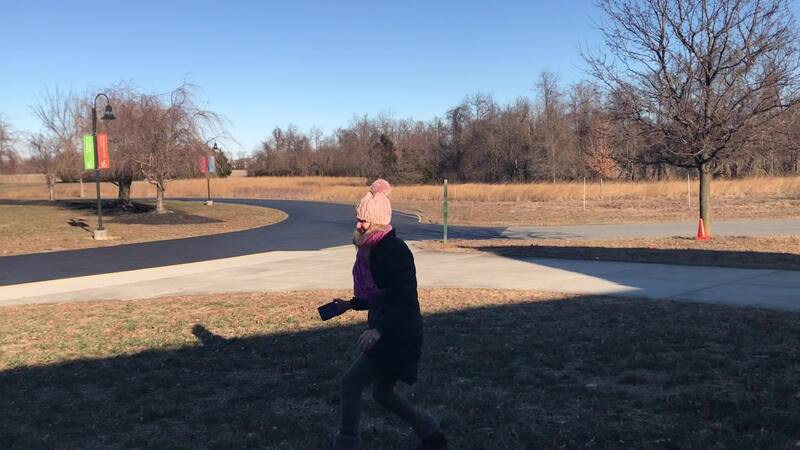 Lower School STEM teacher Kerry Wilson took advantage of the perfect conditions (low dew point and freezing temperatures) to demonstrate the phase conversion of water from boiling point to water vapor once thrown in the air, AKA “making snow” as seen on social media. Using a control variable in the experiment allowed students and faculty alike to explore the wonder of STEM - what fun! Word of mouth is the number one way new families come to St. Anne's. Share your story! New prospective students may schedule a shadow day before applying by contacting the Admissions Office at 302-378-3179 x311. Spring is coming...and the Girls are Ready to Run! We are recruiting coaches for the 2019 Girls on the Run team! Read More about Spring is coming...and the Girls are Ready to Run! On Thursday fourth grader Hunter Skelton and Head of School Peter Thayer traded places for the day, fulfilling the gift of being “Head of School for a Day won in our 2017 live auction. The trade was great fun and educational for both parties. We are excited to announce that Suzanne Humphreys is now providing counseling services at St. Anne's on Wednesday afternoons. How well prepared are St. Anne's graduates for high school? Read More about How well prepared are St. Anne's graduates for high school? Please welcome Isabelle, Alex, and Mary! We have some new faces at St. Anne’s beginning in January! Read More about Please welcome Isabelle, Alex, and Mary!